Aquatic Therapy at Fremont Therapy & Wellness is designed more for the lumbar and lower extremity issues and problems. 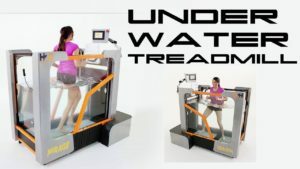 We have invested in a state of the art water treadmill that has several beneficial components for patients. Aquatic therapy is covered by most insurance plans. In addition, we offer cash based plans to schedule use our aquatic treadmill for more of a fitness based opportunity depending on availability.